Between Jan. 1 and March 7, the CDC confirmed 228 cases of measles across 12 states. Why it matters: These outbreaks — which have been especially large in Washington, Oregon and Texas — were predictable. A 2018 study of vaccination rates identified a dozen likely hotspots, two of which have now seen eruptions of this preventable illness. Background: The current anti-vaccine movement began more than 20 years ago after a paper published in The Lancet (but later retracted) claimed that the measles-mumps-rubella vaccine could be linked to autism. Where it stands: Since then it's spawned a media empire that includes almost 500 anti-vaccine websites, each amplified on social media. Almost all of Amazon's best-selling vaccine books are by anti-vaxxers, though the company has removed some anti-vaccine documentaries from its Prime streaming service. The anti-vaccine movement has also added political arms, with PACs in multiple Western states lobbying legislatures to maintain or expand vaccine exemptions — moves that would all but ensure future outbreaks. U.S. public health agencies have been reluctant to launch highly visible advocacy campaigns to combat anti-vaccine messaging. Meanwhile, Australia's government has launched a 12 million Australian dollar ($8.5 million) initiative. What’s needed: Countering the anti-vaccine movement would require dismantling its media presence through a partnership between the federal government and the major social media and e-commerce platforms. In parallel, states with outbreaks underway could help stem their growth by closing non-medical vaccine exemptions. What to watch: The House Energy and Commerce Committee and the Senate HELP Committee have each held hearings on the outbreaks, but have yet to formulate new policies. If no action is taken, the number of cases will likely continue to climb. 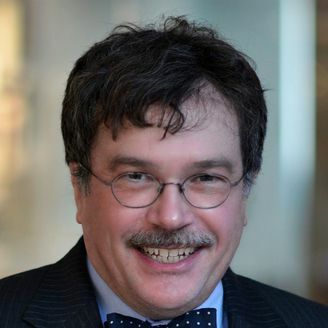 Peter Hotez is a professor of pediatrics and dean of the National School of Tropical Medicine at Baylor College of Medicine and the author of “Vaccines Did Not Cause Rachel’s Autism.” He met with congressional staffers ahead of the recent hearings. Vaccine coverage continued to decline in parts of the developed world last year, resulting in 60,000 measles cases in Europe — the most this century — and a record number of pediatric flu deaths in the U.S. In several Western U.S. counties, up to 30% of children have not received their full vaccine schedule — a trend that's been worsening since 2009. The big picture: This drop-off in vaccinations owes primarily to parental exemptions for non-medical reasons, typically because of false beliefs that vaccines cause autism or illness. There are signs the anti-vaccine movement's misinformation campaigns will strengthen in 2019, leading to further declines in vaccine coverage and possibly more outbreaks of infectious disease. Released in 2016, the propagandist film "Vaxxed" accused the CDC of covering up evidence that vaccines cause autism and propelled the anti-vaccine movement. A sequel is slated for 2019. 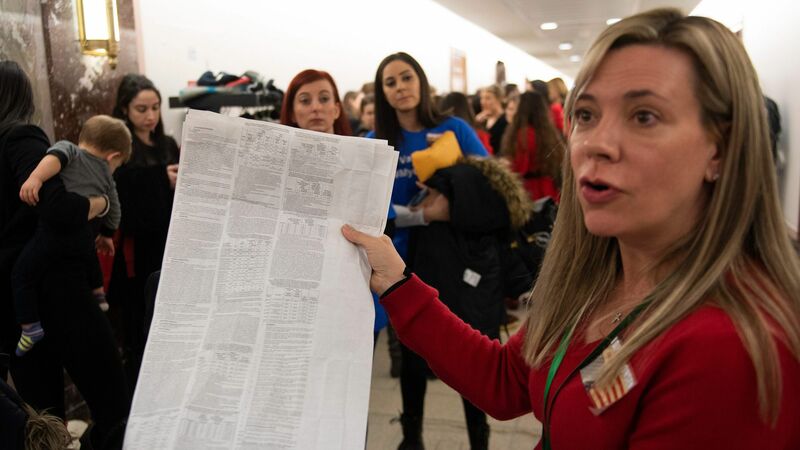 Political action committees in the U.S., Italy and elsewhere are ramping up populist rhetoric about parental freedoms to enact legislation making it easier to obtain vaccine exemptions. Launched in the fall of 2018, Children’s Health Defense has emerged as an influential new anti-vaccine organization. It focuses on American children, but its reach could extend abroad. Social media continues to amplify misinformation from hundreds of anti-vaccine websites. Where it stands: The response to the anti-vaccine lobby by U.S. and European government agencies has been modest, leaving much of the defense of vaccines to academics. This situation will have to change if outbreaks of vaccine-preventable diseases continue or increase. What to watch: The anti-vaccine movement could also move beyond its stronghold areas into Africa, Asia and Latin America. 2018 already saw anti-vaccine activities adversely affect child health vaccination programs in India, Indonesia and Thailand.